This weekend Formula One fans from all over the world will be watching one of the most eagerly anticipated F1 events of the Grand Prix calendar, The Monaco Grand Prix. 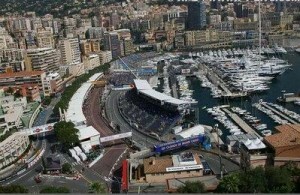 This grand motor sport event will see the best Formula One drivers in the world race at speeds of up to 171 mph around the famous streets of Monaco this Sunday (26/5/2013). The world famous F1 race has been held in the narrow streets of Monaco since 1929 and has seen some of the most memorable Grand Prix races in Formula One history. With weekend tickets selling for up to £800 each, the event has become a location of glamour and prestige as Formula One fans from all over the world travel to this small City to watch one of the greatest motor sport events in the world. But do not worry if you find yourself unable to make it to the famous location to watch the build up, lap testing, practices, qualification and the race live. Thanks to the MyLiveStreams Monaco Grand Prix Webcam Section, anyone can now enjoy all of the Formula One Monaco Grand Prix build up and race Live on Webcam! Check out the very latest Live Webcam Views overlooking the world famous Monaco City Centre which has been converted into a high speed Formula One Grand Prix Racing Circuit. Watch the F1 crowds arrive, drivers and teams practice around the track and check out the latest weather conditions in real time in the build up of the most eagerly anticipated Formula One Grand Prix races of the season thanks to the MyLiveStreams Monaco Grand Prix Webcams. Check out the amazing Live Webcam Views overlooking the world famous Monaco City Centre on the MyLiveStreams Live Monaco Webcams Section. If you enjoy Live Motor Sport Webcams then check out and enjoy the great Monaco Grand Prix Formula One Webcams this weekend for an action packed F1 Race that has a lot at steak. Who will win this eagerly sought race? 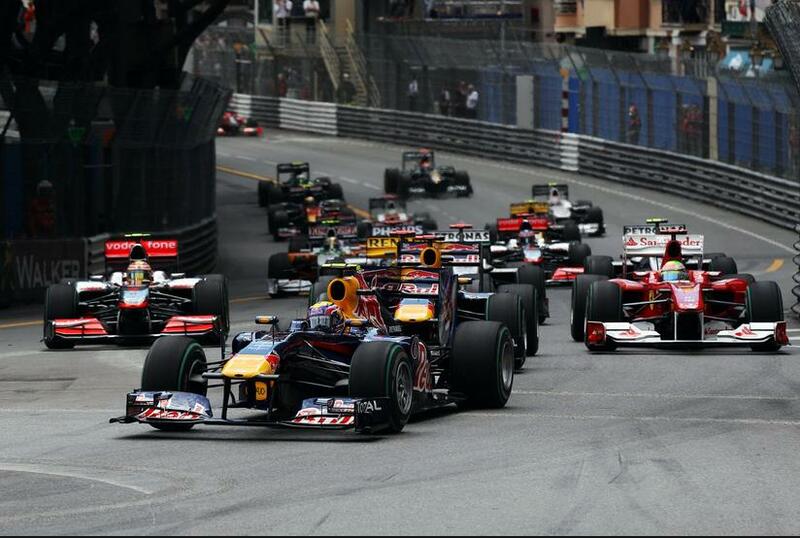 Which driver has the nerve to beat the other drivers and the narrow streets of Monaco? Which team will have the best car for the race? 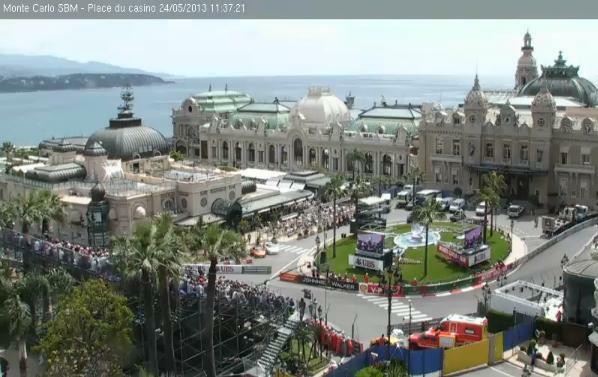 Watch all the Monaco Grand Prix action Live on Webcam with the MyLiveStreams Streaming Monaco Webcams this weekend!! Monaco is hosting one of the world’s greatest spoting events, this Sunday, 24th May 2009 – The Monaco F1 Grand Prix. A Jewel in the Crown for Formula One`s F1 Car Racing Championship. This top rated Monaco cam overlooking Monte Carlo is ideal to view the cruise liners, luxury yachts and motor cruisers arrive to the Port of Monaco to attend one of Europe’s premier Social Events over the weekend of fun and excitement of the Monaco Grand Prix. The Port of Monaco is on the northern coast of the Mediterranean Sea – The French Riviera. Enjoy live online video coverage of the forthcoming Monaco F1 Grand Prix 2009 from the comfort of your computer. View live Monaco webcams to catch the build up and party atmosphere in the small Principality of Monaco to the Jewel in the Crown` of F1 motor racing events – The 2009 Monaco Formula One Grand Prix. Watch the build up to Sunday’s 2009 Monaco Grand Prix by viewing live online video streaming and listening to online radio coverage of the F1 practice sessions on Thursday 21st May 2009, morning and afternoon, as well as the final practice session for the F1 racing cars on Saturday moring – 13rd May 2009. The Monaco Grand Prix (French: Grand Prix de Monaco) held this year on Sunday 23rd May 2009 on the 3,340 km long Circuit de Monaco, is considered to be one of the most important and prestigious automobile races in the world alongside the Indianapolis 500 and the 24 Hours of Le Mans (with which it forms the Triple Crown of Motorsport). The history, spectacle and glamour result in the race being considered “the jewel of the Formula One crown”.